While I was growing up I didn't get to see my mom have a lot of makeup around the house the way many young girls do. My mom had too many other things to worry about in life other than putting on a full face of makeup or even owning much of it. I remember she always had a burgundy lipstick (this might be the reason burgundy lipsticks are some of my favorite). 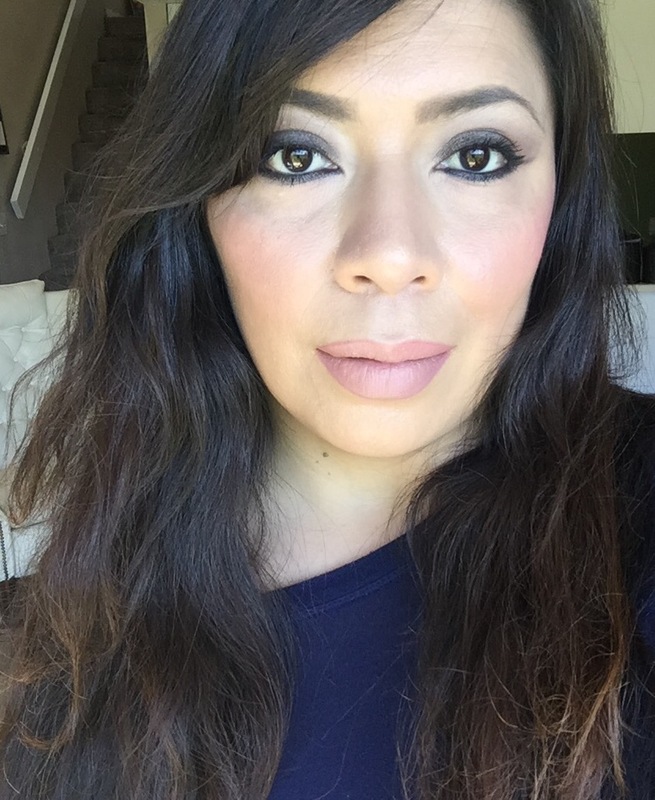 She used to use this lipstick for any special occasions: school events, family gatherings, etc. Always good at getting products to multi-task for her, she would take this one tube and use it as both a a blush and lipstick. Although there wasn't a lot of makeup to play with when I was a little girl, what we could find in my moms room was a full skin regime. I don't ever remember a time when the counter wasn't full of cleaners, toners, lotions, creams and oils. My mama put the emphasis on skincare, taking care of the canvas versus what went on it. Taking care of my skin was ingrained on me since I was a child because of my mom, and I'd be lying if I said I always followed her lead. When you're in your late teens and early 20's and have amazing skin, most times you forget to take extra care of it, the way I did. It wasn't until my 30's that I really began to realize the importance of a good skincare regimen and how nothing that you put on top of your skin is going to look good, if you don't take care of the canvas first. The only difference between my moms massive skincare regimen line and mine is that I have almost always stuck to drugstore skincare and I am a lot simpler about it, hating to follow dozens of steps. 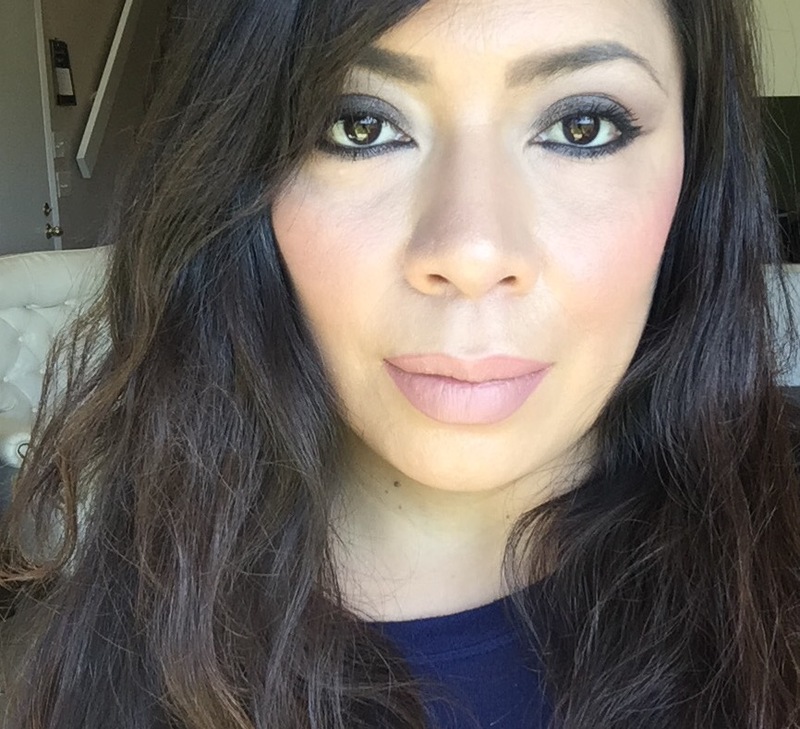 I just don't have the time for more than a few steps morning and night, so for me it's all about finding products that I can use quickly and efficiently to give me my best skin. I like to keep my skincare routine fast & easy. Today I want to share a few steps that I take so that I can have good skin even during these harsh winter months, without a lot of fuss. I do have delicate, dry skin with rosacea that can tend to get irritated if I use products that are too strong. 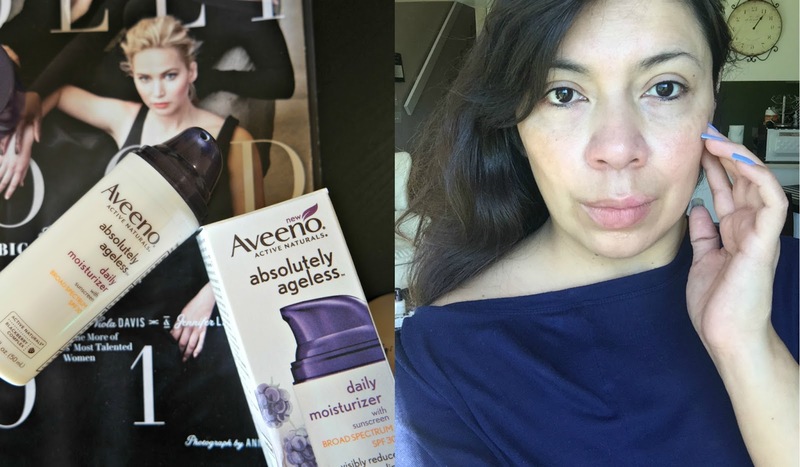 I shopped at Target for the AVEENO® Absolutely Ageless line of products. AVEENO® uses ACTIVE NATURALS ingredients sourced from nature, delivers real benefits and clinically proven results. I start my morning skincare routine by washing with AVEENO® Absolutely Ageless Nourishing Cleanser. With antioxidant rich blackberry extract, this cleanser removes 99% of skin-aging impurities from my skin, leaving it clean and ready for the next step. Most importantly, it won't over dry my already dry skin. It's important to cleanse the skin every single day and night, even if you won't be wearing makeup or haven't stepped out of the house. The next step is the AVEENO® Absolutely Ageless Daily Moisturizer which visibly reduces the look of fine lines and wrinkles while smoothing skin texture. The best part of this daily moisturizer is that protects skin from harmful UVB rays with Broad Spectrum SPF 30. Not only does my skin looking younger , healthier and more radiant, I am protecting it from the sun and hopefully avoiding more of those fun sun spots. My skin has a lot of textures spots, it's seeing more than it's share of wrinkles (especially on my forehead) and you can definitely see how I have a growing amount of hyper pigmentation on my cheekbones. I didn't start getting sun spots until I got pregnant with Sammy, and the older I get the more spots show up. 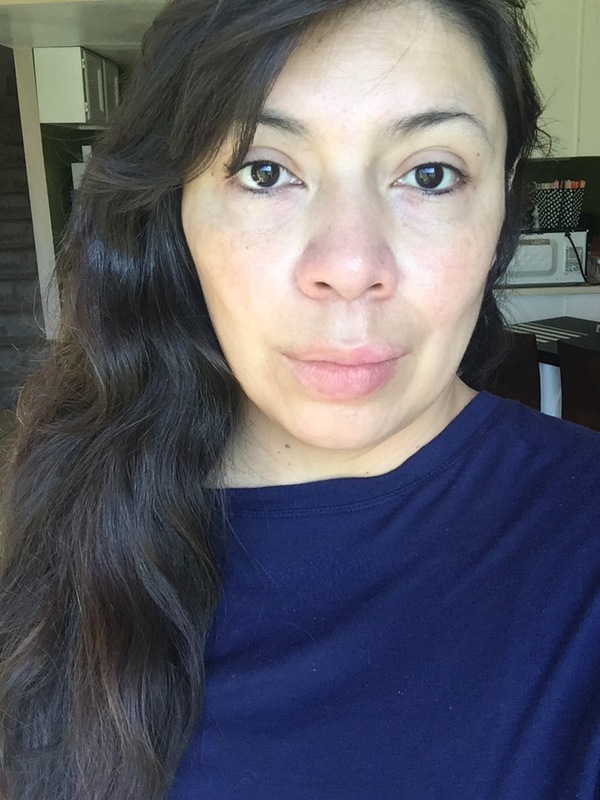 And even though I it's a daily struggle to keep my skin moisturized and healthy, it's not terrible for being 42 years old. After applying a nice coat of AVEENO® Absolutely Ageless Daily Moisturizer I can see how it's softer and has this healthy glow about it. On a rush day all I need is some mascara, lipstick and I can go on with my day without sweating bad skin. Of course if I have some time I do enjoy putting on my full face, but that's only after having taken care of my skin first and foremost. I am wearing no highlighter today, that glow you see on my skin comes from having a healthy base (my skin) and my AVEENO® Absolutely Ageless line. I'd love to know what some of your winter skincare must have items are. How do you care for your skin during these colder months?